The leaves are changing and the seasons are shifting — which means one thing for students everywhere: It’s time to head back to school! While the homework and the lectures and the dreaded pop quizzes might give students and educators reason to pause, the one thing everyone can agree on is the importance of teachers. 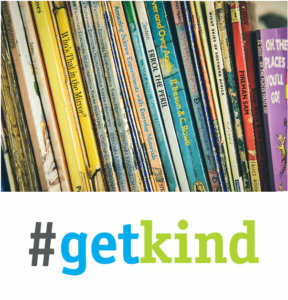 This month, Random Acts is turning the spotlight on those who helped so many of us learn to read and love books, magazines, newspapers and everything in between with our September #GetKind theme, Teachers and Literacy. According to the National Assessment of Adult Literacy, a survey of American adults from 1992 to 2003 showed that some 14 percent of the population was unable to read — but while those numbers may have disappointing at the time, a new study released by Central Connecticut State University in 2016 showed that the United States’ global literacy ranking had risen from 11th to 7th place. With the help of kindhearted instructors, that ranking should only rise. Take them snacks! “Teachers work long, hard days,” writes Development Manager Jennifer. 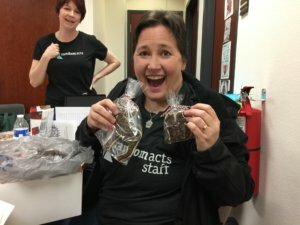 “Lots of times, they barely have enough time to eat, or do anything else.” Bringing coffee, doughnuts, or fresh fruit for your co-workers, instructors, or professors also provides them with a welcome break in their schedule that they otherwise might not get. Donate old books… “Everything is a resource!” Bec writes. If you’re short on books yourself, offer to help work a book drive or host one, if possible. 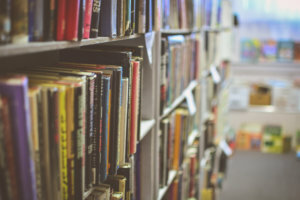 Schools and libraries are almost always looking for extra resources, and saving money for teachers who would otherwise buy the books themselves can really make a difference. … Or donate something else! Monetary donations to underfunded schools or libraries help them thrive. Check around your community to see if anyone is in need of a little something extra, and donate what you can! Say something… Speak out about the teachers, librarians, and educators that made a literary difference in your life. Put together a video, a piece of art, or photo collage of you and your friends finishing the sentence, “Because of my teacher, I…”, and send a positive message out into the world (and maybe put a few smiles on some faces while you’re at it!). Lobby your local representatives. Whether you’re circulating a petition to help increase funding for local schools or writing your congressional rep to help pass a bill, your voice counts. Make sure the people in charge of your community know that you care about literacy and education funding! Volunteer to read somewhere. If you can, sign up to read to kids at the local library or at an after-school volunteer program. Helping teachers get kids excited about reading can be monumentally helpful. This month, we hope you’ll help us in reaching out and assisting the teachers who help others learn to read and love literature, in all its forms. Let’s get out and #GetKind!